Before Florence came along, I had a bad impression of being part of a large, destructive hurricane. I still do – they are invasive, unpredictable, scary, and bearers of death and destruction. Staying in your home is comfortable unless the electricity goes out and the toilet won’t flush. The food in the fridge starts to disfigure and you end up throwing away hundreds of dollars of perishables. Fear of flooding looms. Hurricanes are not fun. Especially if you feel it is imperative to evacuate and/or are told to do so. There are many others evacuating – so when do you go and where do you go? The state has rules and the best thing to do is follow them. We did so – we went south and not inland for fear of rivers overflowing. We ended up in a Georgia hotel which is located on Hospitality Avenue. The rooms were very nice but our first impression was that of the hospitality. The hotel members were compassionate, friendly and ready to help the situation any way they could. They were a hard-working group – the hotel was filled to capacity with people from the Carolinas. We were fortunate to be among neighbors, friends and others we knew. Some of us played cards. Others socialized. Many were glued to their cell phones. We all were aware of the TV giving out information over and over that we weren’t happy to hear. After a few days our homes we left seemed more and more fragile and in distress. We would call neighbors who did not leave and try to find out details of our abandoned homes. Did trees fall; is it flooding, are the highways clear, are the lights out? Most of us did not sleep comfortably. Finally, the evacuation was lifted. Happiness filled for a short time until we realized we were going home but how, where, and best time to do so? The actual reason for this account is what happened leaving Hospitality and driving into the Unknown. 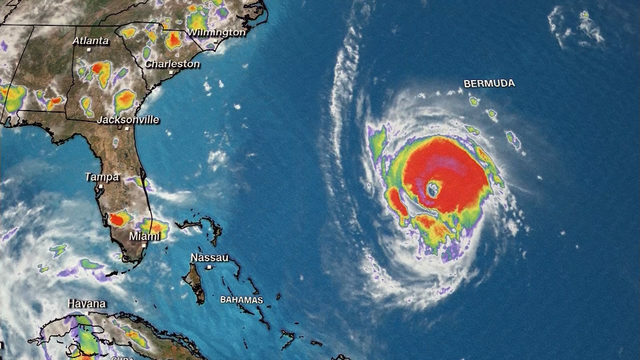 We stopped at the Welcome South Carolina center and picked up a SC 2018 Hurricane Guide. Among helpful articles, it contained “important contacts”. We used 3 of the phone numbers on the 6-hour drive home. They were: Current Road Conditions (1-888-877-9151); Re-entry (1-866-246-0133); Emergency Management (1-843-915-5150) as well as our local police department. These phones are well-manned and most were picked up on the first ring! We drove with added confidence that we could contact the well-qualified and compassionate persons at these numbers who answered our questions and had up-to-date info on highway safety and availability. We cannot praise this program enough to alleviate the worry or fear of flooded areas or trouble spots or heavily-trafficked areas. Our sincere and grateful appreciation to all the phone responders speedy access and answers to our questions of highway availability or any problems in our path. We are grateful for such a program in our hurricane-possible state and especially to Randy Webster, Director of the Horry County Emergency Management Department (EMD) . In the publication Hurricane Guide, “Randy Webster wants to make sure you’re prepared in the event of a hurricane.” Many hints such as what pet owners can do in case disaster strikes. A link to a site showing pet-friendly hotels is available on the EMD website. Many, many thanks to him and the wonderful people in his well-run program for this valuable guide and resources.